If you’re browsing random poker blogs, odds are you’re already playing online poker. You probably have a deep understanding of the game. You know about different software and training sites. You’re more than comfortable playing poker online. This guide is not for you! WAIT! Don’t leave! As a pro you know Rake Refuge Has some of the best Rakeback deals in the industry. Check out the dozens of offers we have and see if one is right for you. OK. So it’s just the beginners we’re talking to now, right? Good. 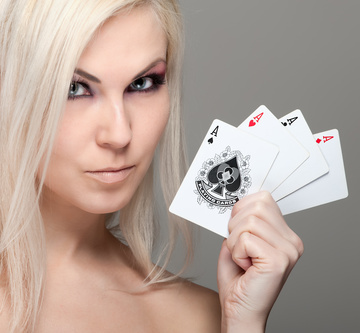 So what is the first step one should take when they want to start playing online poker? That’s easy. Determine what it is you want out of playing then you can devise a plan to best succeed. Do you want to be a casual player playing to pass some time not really caring about wins or loses? Or do you want to be a very serious grinder; someone playing a dozen or more tables, always dedicated and focused, slowly and steadily building your bankroll. Or maybe you’re a madman constantly risking it all to move up to the nosebleeds so you have enough money to buy your dream house and meet your dream girl! The bottom line is when you’re starting out with online poker you must have a basic idea of what it is you want to accomplish. Once you’ve figured out your poker goals, you have to find a place to play. This can be daunting with the great number of poker sites to chose from, but there are some ways to narrow your search. First of all, learn what country’s laws are on online poker. Some sites may not be available where you live. Next find more info on whichever sites interest you. You’ll want to check out how many players play regularly there, if they offer your favorite poker game, and see if there are any major concerns involving the company. It’s your money you’ll be placing on the site so you should feel secure with your choice. It’s probably best to stick with one of the more established rooms initially. When you’ve found a room(s) you’ll be comfortable playing at be sure to get a rakeback deal. Whether you play once a year or grind for hours each day you’ll earn extra money with rakeback. Rake Refuge has many sites to choose from and the best offers you’ll find. Stay tuned for Part 2 of the Online Poker Guide for Beginners and in the meantime, check out some rakeback offers here. This blog’s focus will be mainly online poker. I’ll be discussing my experiences playing over the past several years as well as the latest news and promotions of different online poker sites. A very brief poker bio: I’ve been playing online poker for 5+ years. I’ve played over1 million hands, from micro to medium stakes (mostly No Limit Hold ’em), and while I’m not the best player, I feel I have unique insights to offer especially to players new to the game or online poker in particular. I’m working on a brief guide for beginner online poker players. I’ll post it here in parts over the next several week, so check back.